was busily searching her recipe book. lighter than air and perfectly sweet." 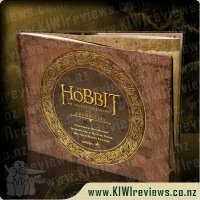 NOTE: Originally released as a hardback in 2010, this has been rereleased in 2016 in a softcover format with a new design. Three pages in my daughter clicked and said &apos; hang on a minute this is just like the little red hen&apos; and then quickly told her younger sister and myself all about it and what happens. She was rather excited about the fact that she was basically correct, except for the kiwi angle that is. 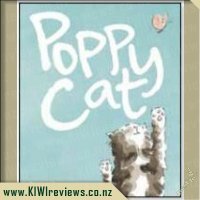 I love New Zealand made books the illustrations are fantastic and so relatable and having New Zealand animals involved really sealed the deal. 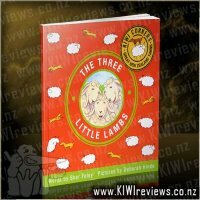 The story is nice and light and told thru rhyming which miss 7 also picked up on. 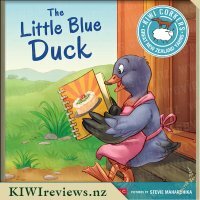 About The Little Blue Duck who decides to make a yummy Pavalova and asks her friends the Tui, Kea and Weta to help her but as they are too lazy, too tired, too dirty or too scared they do not help so the book Blue Duck has to do it all herself (sorry to wreck the story). It does not take long to read and by the end of it the girls where both saying "well I&apos;ll do it myself". I could look at the pictures all day long as they are so graphic and as miss 7 said there is so much detail in them. She even picked up on the Edmonds cooking book and said wow that looks like our recipe book. Even miss 4 pointed to the containers on the shelf and said that looks like the marmite I had for breakfast. Although none of the items had actual labels it was clear to see what they where. We have read a couple of times now and as on school holidays if I ask them to help in the kitchen and they come up with an excuse not to I remind them of this story which has worked out fantastically. A very cute book. Back in May my mother got Miss 3 a copy of one of her childhood favourite stories about the Little Red Hen. Miss 3 loved the story and insisted that it be read solidly for a few weeks. Because she and I were familiar with the original tale, it made reading the Little Blue Duck a lot more meaningful. 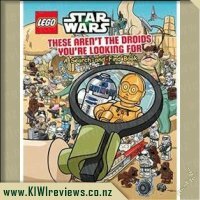 We both knew what the premise of the story would be roughly, and could delight in the kiwi twists through-out. 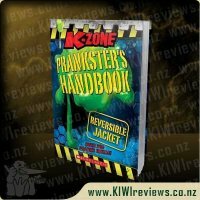 This copy of the book has fresh new cover art and is soft covered. The Blue Duck does her best throughout the story to get her &apos;friends&apos; to help her make a pavlova. Her mates are a Tui, a Kea and a Weta. I wasn&apos;t sure why a Weta would be hanging out with the other birds, but the addition didn&apos;t worry my kid at all. Gurney does a good job of weaving kiwi-isms into the prose including things like "too right" and some of the characters sitting on their "chuffs". 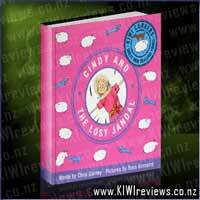 The illustrations by Mahardhika really helped to bring the characters to life and add that extra kiwiana From the cookbook that looked quite a lot like the old Edmonds cook book we all have in our cupboard somewhere, to the Jandals; the bag of sugar that looked a lot like a Chelsea&apos;s bag and the Made in NZ sticker on a product. The cheeky birds were endearing for my daughter, who loved just looking through each page. A few times I have caught her reading through it herself, though she can&apos;t quite read yet. She has happily showed her sister too. Nana was in town over the break and she had a read with Miss 3 as well. After the kids were in bed, we got to talking about the book. She thought it was clever, but she did wonder how easy it would be to sit and eat a whole pavlova by yourself. We agreed that a loaf of bread would be easier to eat in one sitting. That said, the kids don&apos;t care too much about what might be possible for a little duck. Otherwise they might have questioned the cow milking or using chicken eggs. 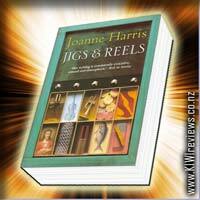 The Kiwi Corker books are still going strong, the more books i read the more impressed i am. The Little Blue Duck is a great retelling of The Little Red Hen. 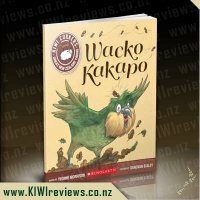 The illustrations are great, you know when it's a Kiwi story with an Edmonds cook book or Chelsea sugar involved (even though it wasn't labelled, if you're a kiwi you just know these things). 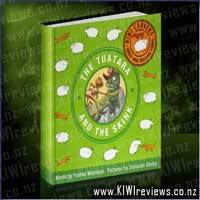 The pictures are a big part of the story, nice and colourful and appealing to children and adults alike. 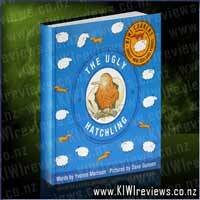 The Little Blue Duck sure is a beaut kiwi treat, just like the pavlova that gets made. I loved reading this book, and it is now one of my favourites. 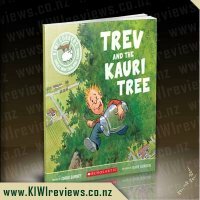 My most favourite however is Trev and The Kauri Tree, also by Chris Gurney. What do you do in your teenage years when you realise what your parents taught you wasn&apos;t enough? 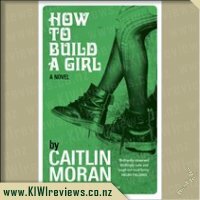 You must go out and find books and poetry and pop songs and bad heroes - and build yourself.